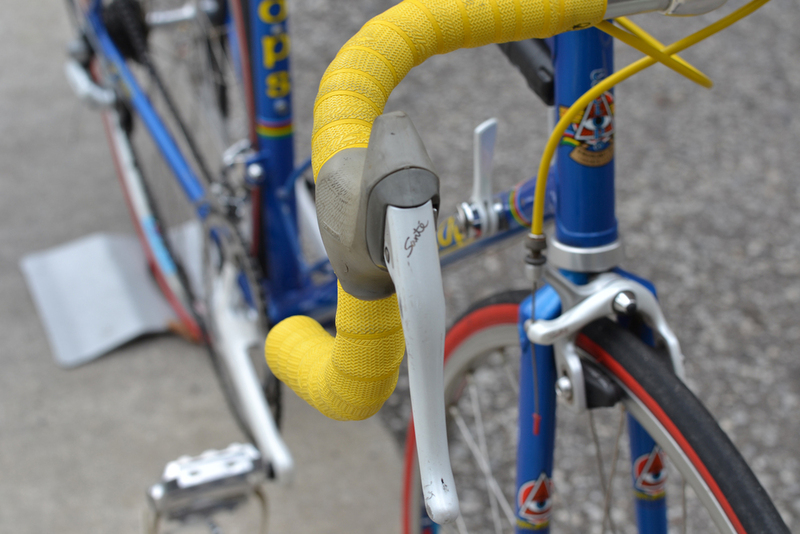 1983 Cyclops Road with Shimano Sante — Ride the Gnarwail! Photos taken for City Cyclery. Photos and words by Bradd Bezaire. "Without hesitation, we can say this bicycle is a stunning example of Canadian cycling heritage. The Cyclops brand is well known for its meticulous paint jobs and selection of premium tube sets, often mixing and matching different tube sets to accomplish custom ride qualities for different riders. Cyclops had its origin when Mike Mulholland bought Jocelyn Lovell’s frame building business after he had a tragic collision with a dump truck that left him a quadraplegic. Mulholland himself was a road racer and the majority of his masterpiece bikes were designed and built in Toronto. However he set up shop in the Okanagan Valley in British Columbia before moving his operations back to the Niagara region of Ontario. His focus was on road and track frames that at their core were designed to be raced on. Sadly Mike passed away in 2005, and it looks as though the brand died with him. The part spec on this bike is as interesting and rare as the Cyclops frame. The drive train, brakes, brake levers and down tube shifters are part of the Shimano Sante groupset. 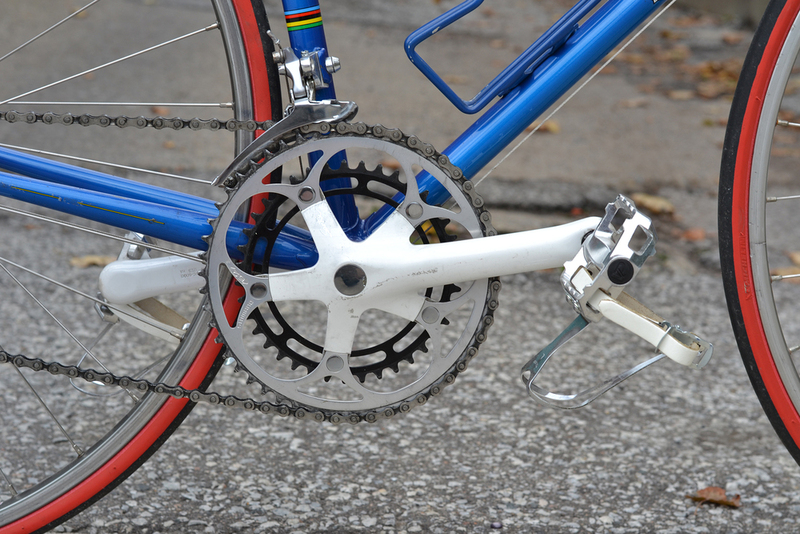 You could say that Sante is the missing link between Shimano 600 and Shimano Ultegra. 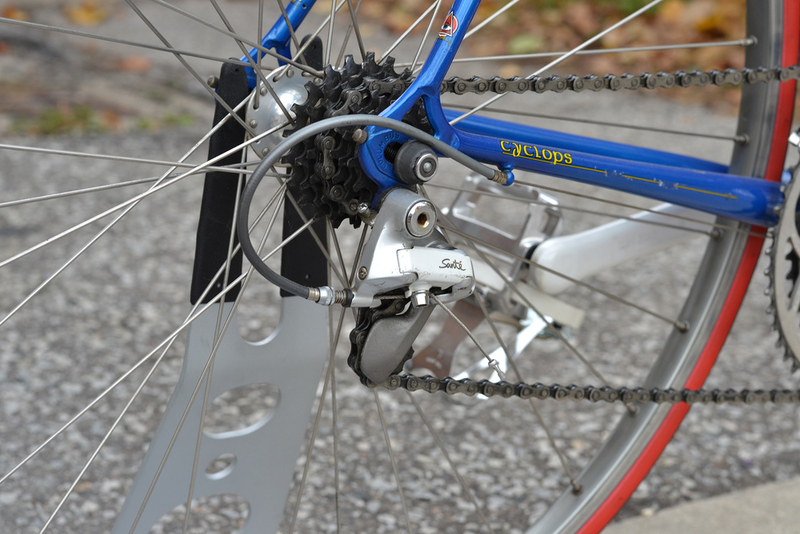 It was also the first 7 speed rear gear set (even before Dura-Ace). All and all this is a beautiful bike." 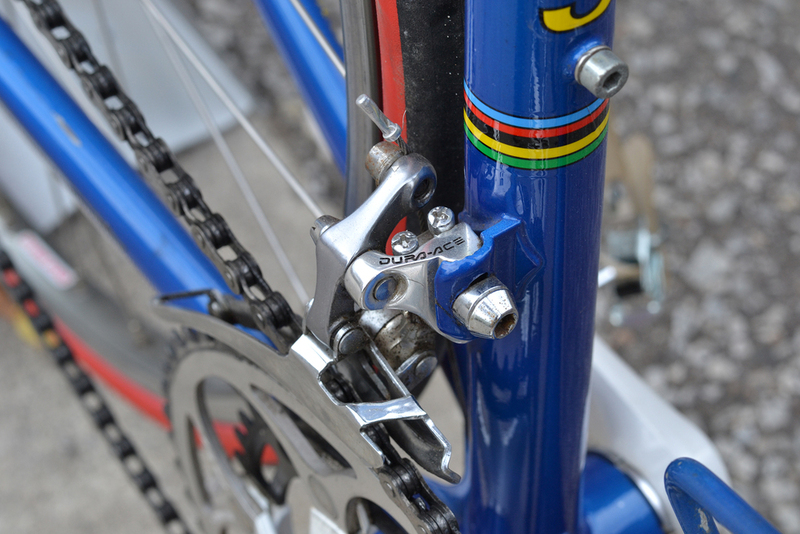 Addendum: The photos were taken for the City Cyclery blog and online shop to help showcase this classic bike. The bike has since sold to a private collector in Montreal, Quebec.